If you sleep by yourself, it is not too difficult to find the right mattress. All you have to do is find a mattress that fits your sleeping preferences. Easy, right? However, what if you sleep with a partner? Well, that’s a different story. Now, you have to choose a mattress that fits the preferences of two sleepers. That is not so easy. Fear not. If you are in the market for a mattress for couples, there are six mattresses that really stand out among the rest. Which is best for you and your partner? Read on for my full round-up. 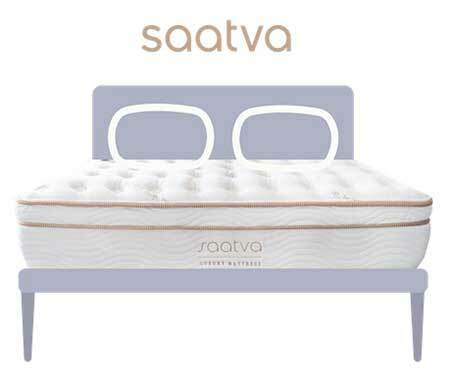 The Saatva Solaire is an adjustable air bed with 50 different firmness settings. Each side is adjustable, making it a great choice for couples. 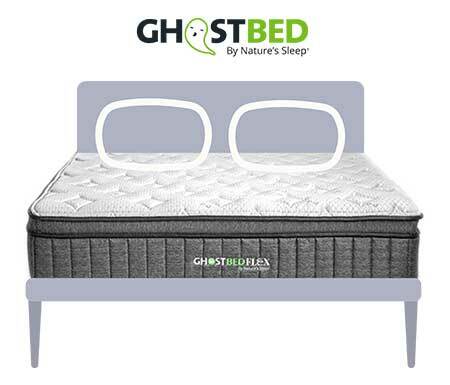 The GhostBed Flex is a hybrid mattress that is a great fit for all three sleeping positions. 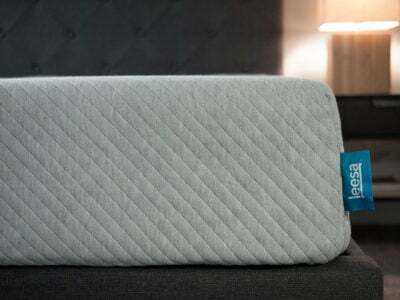 The Layla is a flippable mattress that features great motion isolation and pressure relief. 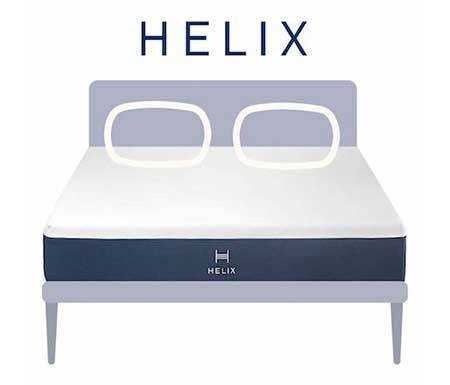 The Helix is a great mattress for couples who want to customize each side to fit their needs. 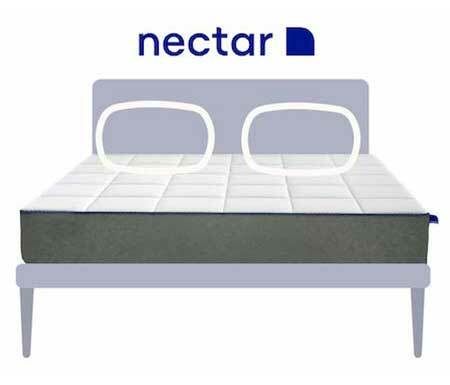 The Nectar is a value memory foam mattress that should be a good option for back sleepers and side sleepers. The Loom & Leaf is a luxury memory foam mattress that should be great for couples who sleep on their back and side. Take a look at my top picks for couples mattresses. Out of all the mattresses I have reviewed, these six are the best for couples. The Saatva Solaire mattress is an air bed with adjustable firmness. Using a remote control, you can choose from one of 50 settings. The mattress will then inflate or deflate and help give you the exact mix of comfort and support you desire. The Solaire is also a great match for couples. This mattress is actually split so each side is adjustable. With this design, each partner can select the firmness that matches their sleeping position. Do you sleep on your stomach, but your partner sleeps on their side. You can set your side to firm and they can set theirs to soft. Also, this split design should also help deal with motion transfer. You shouldn’t see as much motion transfer from one side of the mattress to the other. Because of this, you and your partner shouldn’t disturb each other when you move around at night. What Makes The Solaire Stand Out? The Solaire features adjustable firmness. You can select from one of 50 firmness settings. The Solaire is split so that each side is adjustable. Each partner can select their desired firmness. The split design should also help the Solaire cut down on motion transfer. The Solaire features a high-end design. If you are looking for a luxury look and feel, this could be right for you. The mattress also works with an adjustable bed. It fits perfectly on the Saatva Lineal. 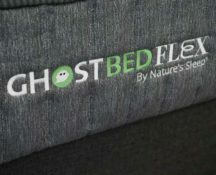 The GhostBed Flex is a hybrid mattress that features high-grade pocketed coils and premium memory foam. This design makes it a good fit for all three sleeping positions. The mattress’ balance of comfort and support should allow each partner to sleep in any position. Also, the memory foam on top is quite soft and should handle motion transfer very well. During my motion isolation tests, I saw little disturbance and motion transfer on the GhostBed Flex. You shouldn’t feel your partner moving around at night. Finally, the hybrid construction ensures that the GhostBed Flex has solid edge support. This means you are your partner should be able to utilize the whole mattress, all the way to the edge. Sitting or lying near the edge, you should feel secure. The Flex features a great balance of comfort and support. It should be a great match for any sleeping position. The mattress cuts down on motion transfer so you shouldn’t feel your partner moving around on their side of the bed. The coils allow for a good amount of airflow. This should be a breathable mattress and a good match for hot sleepers. The Layla is a very interesting mattress in that it is flippable. One side is firm and supportive while the other side is soft and comfortable. You basically have two firmness options in one mattress. Even though it is flippable, you and your partner have to sleep on the same side. I believe most people will prefer the soft side. It is very comfortable and features great pressure relief. Because of this, the Layla should be a great match for couples who are both side sleepers. They should feel little pressure on their shoulders and hips. 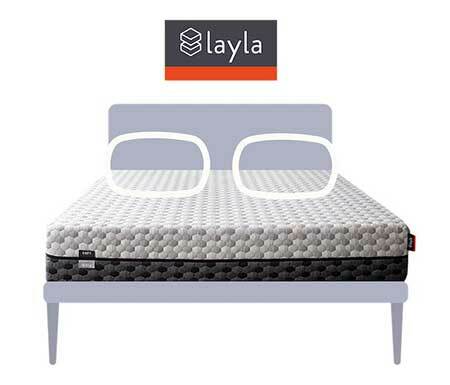 In addition, the Layla handles motion transfer the best out of these six mattresses. The soft memory foam absorbs motion so that you should see almost no motion transfer on the Layla. The Layla is one of the most comfortable mattresses I have reviewed. The mattress is flippable so you can choose from a soft side and a firm side. The Layla handles motion transfer very well so you shouldn’t feel your partner’s movements on your side of the bed. 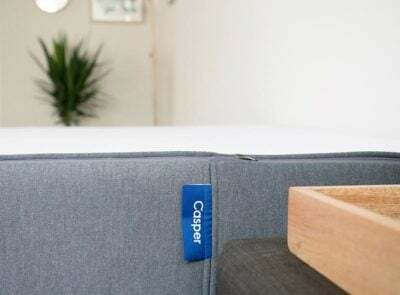 The mattress features copper-infused memory foam. The copper is antimicrobial and also helps with cooling. The Layla relieves pressure very well and should be a great match for side sleepers. 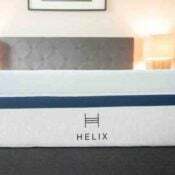 The Helix mattress is unique in that the company in that you can customize your mattress to meet your needs. You take a quiz regarding your sleep preferences and then Helix sends you a mattress to fit you. The mattress is great for couples because you and your partner can each customize your side of the mattress. If you each take the quiz, you will receive a mattress where each side is made to fit each partner. However, unlike the Solaire, you can’t customize the mattress once it arrives. You can’t adjust the mattress after it is in your bedroom. This isn’t necessarily a drawback, but it is something to note. The Helix also features nice motion isolation. 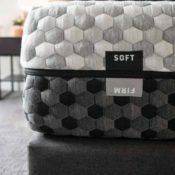 Most of the customized versions contain memory foam in the first layer and the split design also cuts down on motion transfer. 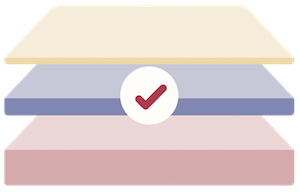 By taking a sleep quiz, you can customize the mattress to match your sleeping preferences. Helix will customize each side of the mattress based on each partner’s needs. The coils on the Helix mattresses promote airflow. You shouldn’t be sleeping cool on the Helix. 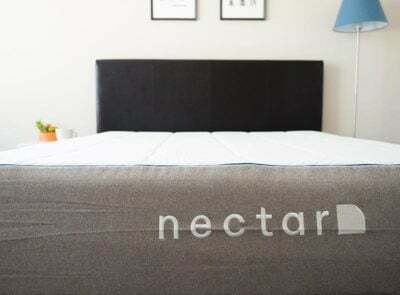 The Nectar mattress is a great option if you want a couples mattress but want to save some money. It is easily the most affordable mattress on this list. The mattress contains very soft memory foam, and it relieves pressure quite well. You should feel pressure on your shoulders and hips just melt away when you lie on the Nectar. 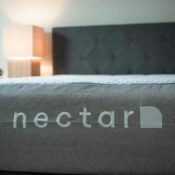 At the same time, the Nectar is supportive enough for most back sleepers. The memory foam presses up into the lumbar area while letting the hips sink in. If you are your partner sleep on your side or back, the Nectar could work for you. The Nectar also features fantastic motion isolation. The slow-moving memory foam handles motion transfer so that you shouldn’t feel your partner’s movements on your side of the bed. The mattress is very affordable and is also a great value. The Nectar has great pressure relief. Side sleepers should find this to be a good match. The mattress is also supportive, contouring, and a good fit for back sleepers. The Nectar cuts don on motion transfer so you won’t be disturbed by your partner when they move around. The cover and memory foam are designed to dissipate heat. You shouldn’t be sleeping too hot on the Nectar. 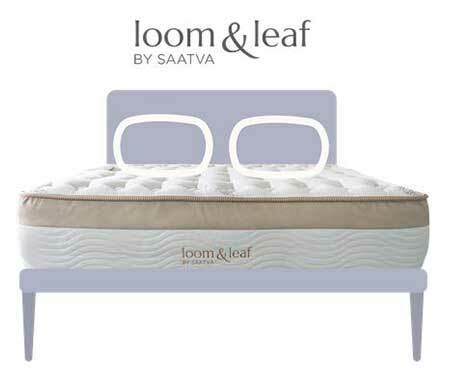 The Loom & Leaf is a luxury mattress with an upscale look and feel. If you are looking for that luxury, hotel mattress experience, the Loom & Leaf could be a good choice. 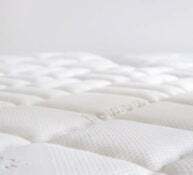 The mattress features high-density memory foams that are great with contouring. Back sleepers should feel the mattress conform to the curves of their body. Also, the memory foam relieves pressure on the shoulders and hips. The mattress does feel firm at first, but you slowly sink in and feel that pressure disappear. 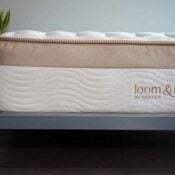 Couples who are back or side sleepers should definitely check out the Loom & Leaf. This high-density memory is also great with motion transfer. I saw almost no motion transfer when I tested out the Loom & Leaf. If you sleep with a partner, you shouldn’t feel their movements on your side of the bed. What Makes The Loom & Leaf Stand Out? The Loom & Leaf has a luxury look and feel. The mattress contains many features that are designed to help keep you cool at night. The high-density memory foam is very durable, making this a longer-lasting mattress. The mattress has a nice balance of comfort and support and could be a good fit for back and side sleeping couples. The memory foam is great with motion isolation. It should cut down on motion transfer in the mattress. One of the biggest problems couples have with sleep is when they have different preferences. One person may like a really firm bed while the other person may like something that is softer. What should that couple do? They could just compromise and get something in between both of their preferences. While compromise can be a good thing, luckily in the mattress world both parties can win without having to compromise. The Solaire mattress is the best choice for couples with different preferences. This is simply because you can adjust the two sides of the mattress to meet the needs of each sleeping partner. This completely eliminates the issue of each partner liking different things. Check out the Solaire mattress review. If someone in a relationship tosses and turns at night, then that can create problems because the other person may wake up when it happens. If that is the case more often than not, the relationship can become strained. In this particular case, you will want to make sure your mattress isolates motion very well. We think that high-density memory foam can be a great option for isolating motion. Because of its chemical nature, the foam keeps any sort of motion confined to a small surface area. That’s why we like the Loom & Leaf for couples who might toss and turn at night. 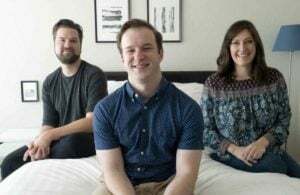 They use high-density memory foam in the top two layers and from my personal experience, the mattress simply does an excellent job of keeping motion isolated. It’s a very good mattress overall as well. Read our full Loom and Leaf review. First, we have the Saatva Solaire. This is a mattress with adjustable firmness. With the King-size, each side is adjustable. I can choose what firmness I need for my side and my partner can choose what they need. With the Helix mattress, each side is customizable. I can have my desired firmness on my side, and my partner can have theirs. Also, if you like the memory foam feel, the Nectar and Loom & Leaf are great options for heavier people. It cuts down on motion transfer, which is a big issue when you or are your partner are heavier. Out of these six mattresses, these four are the best for heavier people. If you are a larger person, it can be even more difficult to find a couples mattress. For instance, if you two have very different weights, how choose a mattress to fit you both? However, as Marten said, these four mattresses could be a good match for couples where one or both partners are on the heavier side. What Should You Look For In A Mattress For Couples? Good motion isolation. If you sleep with a partner, you want to find a mattress where each of you can sleep in peace without disturbing each other. So, you want to consider how well your mattress isolates motion. When it comes to cutting down on motion transfer, memory foam is usually the best. Consider a mattress with memory foam if you and your partner want to sleep soundly. Edge support. If you sleep with a partner, you also want to think about how much of the mattress you can really utilize. Can you sit or lie down near the edge of your mattress securely or will you feel like you are going to fall off? Solid edge support can ensure that you and your partner will have the necessary space to sleep. A good fit for all multiple sleeping positions. Chances are, you and your partner don’t always sleep in the same position. If this is the case, you want to keep an eye for a mattress that is both supportive and comfortable. With a good balance of comfort and support, a mattress will be a good fit for numerous sleeping positions. Because of this, the mattress should be a good fit for two people, even if they sleep in different positions. What Types Of Materials Are Best For Couples? Use the three recommendations above as a starting point, but you may want to branch out. What are the key features that I look for when considering a mattress for a couple? High-Density Memory Foam. Memory foam is known for its great motion isolation. The higher the density of the foam, the better the mattress is for this. Some Latex Foams. Latex mattresses can be fairly decent with motion transfer/isolation. It just depends on the specific mattress in question. Pocketed Coil Innerspring. A lot of innerspring mattresses aren’t very good with motion transfer. However, if the mattress uses pocketed coils, they tend to be pretty good with isolation. If you keep all this in mind, it shouldn’t be such a chore to find a couples mattress. Just make sure you find a mattress with good motion isolation and edge support. 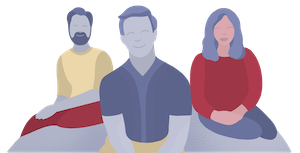 Take a look at our individual reviews and, of course, leave any questions in the comment section. Thanks for the tips! Do you have any recommendations for how tto minimize motion transfer? My husband has restless legs and even our Tempurpedic king won’t prevent me from feeling it. I’d like to go euro style and get two mattresses (like a split king). Or maybe there’s another god option out there? That’s a tough one. You could do a split king from somewhere like Helix or Luxi. Why wasn’t ecoterra or bear or Casper mentioned? Wanted to keep it limited to 5. Saatva isn’t bad for couples, but the ones listed here are really great. Hi Joe, I was wondering why you did not recommend one of the Amerisleep mattresses for couples. I thought they were good for motion transfer. We both sleep on our sides mostly, but some on our backs, get hot and I really need something that has very little motion transfer. What do you think meets those requirements the best? They are good too for sure. I just try to keep the lists short. I want to make sure that I get a good mattress. It makes sense that I would want to get memory foam! I hear that it’s really comfortable and helps you sleep. Impressive website! A huge help… My husband and I currently have a Tempur-pedic. I love it and he hates it (from Day 1 it was way too hot for him). We’ve had it about 5 or 6 years– long enough that I don’t feel quite so guilty getting rid of it and moving on. My only problem with it is that it weighs a ton!! I’m 70 years old and even though in good shape, it’s a struggle to lift this mattress when I’m changing the sheets. I thought I’d go to a latex but just read that it, too, is heavy. Any suggestions? Thanks. Hey Jan – latex is going to be even heavier than memory foam, so stay away from that! Unfortunately the higher the density (aka weight) of the mattress, the higher the quality, so with a good mattress like Tempurpedic you’re always going to have this issue! 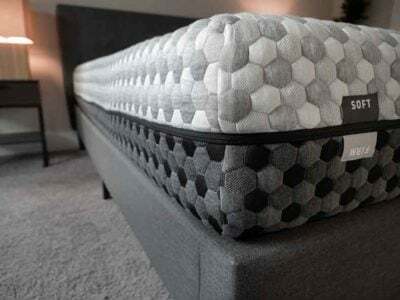 what do you think about a Wink Bed…they also customize for couples – Helix vs Wink – Helix is much less expensve – but if you are a heavier person would you be better off with the extra cost of the Wink because of total mattress thickness. Hi Roxane – WinkBeds feels more like a traditional innerspring, while Helix really feels like a foam mattress. If you are very heavy, I think WinkBeds would probably offer better support – though I haven’t tested the “heavier” adjusted Helix options so I can’t be sure. Hi Joe. Love your website, have spent many hours reading and learning! I am wondering if you have had a chance to check out the new Luxi, that has split Q and K mattresses and allows the owner to change firmness at anytime on either side. Would love to see you review it, great option for couples I would think. Thks. Thanks Wendy! I have reviewed the first version of the Luxi here, I’m planning on reviewing the newest version in the next few weeks. My fiance and I are trying to figure out which type of mattress that we should have when we get married. However, we have very different sleeping habits and so I think that it would be hard for us to come up with one that we could both love. What do we do if one of us sleeps better on a Helix while the other prefers the Sleep Number? If you are both preferring different mattresses, looks like you will need two! Hopefully you can identify what you like about each one and make a compromise. Excellent post, Joe! I’m glad that I stumbled upon it because I’ve been thinking about getting a new mattress. I think you’re absolutely right: it’s important that you’re finding the right compromise. I’ll be sure to follow your suggestion by considering customized mattresses. Thanks for the enlightening tips; they’ve been very helpful!